Its my sad duty to inform of the passing of Ivan Jones. Ivan Jones lost his long and courageous battle with cancer in the early hours of Saturday 21-3-15. Our deepest sympathy to Ivan’s family. He will be sadly missed by all. Ivan Jones last year at a Chelsea Old Mates Reunion. Published in the Courier Mail 11-4-15. Ivan Jones in his playing days for Souths. Well known Rugby League identity Barry Ross has kindly allowed us to share his special tribute to Ivan Jones. IVAN JONES Born 10 November 1942 22 February 2015. Ivan Jones showed a lot of courage during his lifetime, both on and off the field. As a 68 kg halfback, he took on much bigger men, while during the latter stages of his life, he endured regular chemotherapy and radiation without complaint. Growing up at Dalby, which is about 200 kilometres west of Brisbane, Ivan made the local first grade side at just 16 years of age. 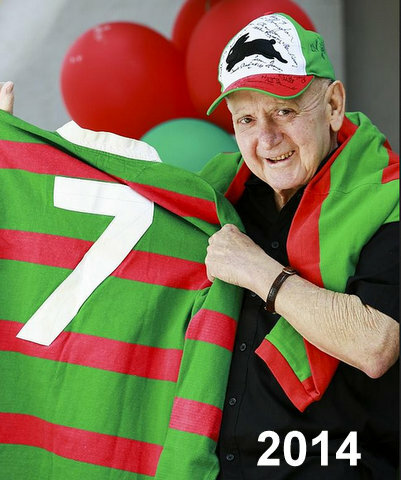 He moved to Brisbane Souths at 18 in 1961 and in the last of his three seasons with the club, played in the Brisbane Grand Final when Souths were defeated 18-8 by Norths. While at Souths, Ivan had a taste of international football as halfback for Combined Brisbane in their narrow 16-15 loss to New Zealand at the Exhibition Ground in June 1963. 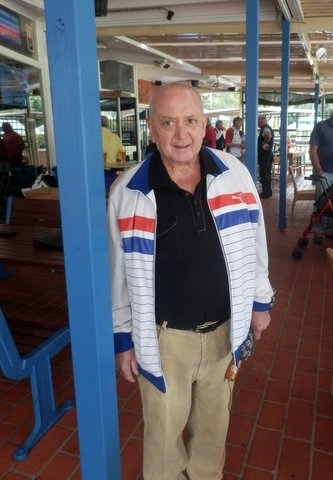 In 1964, Ivan moved to Rockhampton where he played with the Rockhampton Brothers club. Representing Central Queensland against the touring Frenchman, Ivan was the Man of the Match in the excellent 22-2 victory at Rockhampton in early June 1964. He scored a great individual try, as well as making several long runs. Only the experienced and enduring Barry Muir, came between Ivan and a Queensland jersey. 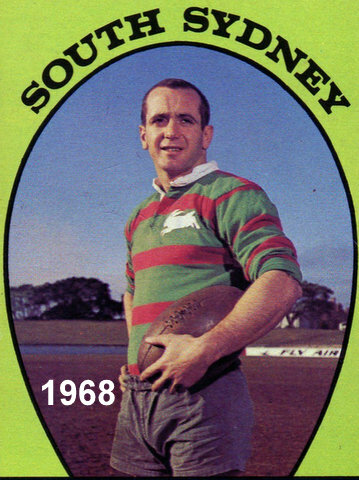 South Sydney after showing some interest in signing the talented halfback in 1963, moved quickly to secure his services for the 1965 season. He soon established himself in the first grade team and was a member of the young Souths 1965 Grand Final side who held St. George to 12-8. This match at the Sydney Cricket Ground will long be remembered, as fans grabbed any vantage point they could, such as on the grandstand roofs. The crowd of 78,056 was an SCG record, but there were many more at that match who were not counted. Ivan continued in the Rabbitohs top side for the next three seasons and was a key member of the Premiership winning 1967 team. In the 1967 Grand Final at the SCG on 16 September, Souths beat Canterbury 12-10. In 1968, Ivan was injured in the semi final when Souths went down to Manly. This problem resulted in the clever halfback missing the wins in the Final and Grand Final. In his five seasons at Redfern, Ivan played 70 first grade matches and 27 reserve grade games. With 13 tries and six goals, Ivan finished with 51 first grade points with Souths. He was made a Life Member of the club in 2002. 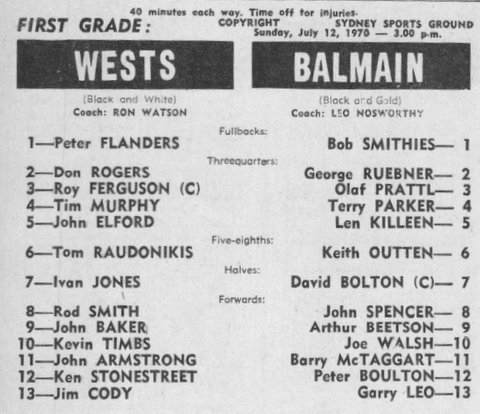 After one season with the Wests Magpies in 1970, Ivan retired. Bob McCarthy, who was a team-mate of Ivan’s in many games for South Sydney, was impressed with his defensive skills. During his working life, Ivan managed several hotels, including the Lord Raglan at Alexandria, which is still a popular venue for South Sydney supporters and players. Ivan and his wife Diane were married on 8 December 1967. They have three daughters, along with two much loved grandchildren.